I’m amazed by how time passes, and how sometimes it feels like everything is okay. But, sometimes, when the sky is that blue like it was on that day, and if there was some hint of memory of what was, I start feeling sad. 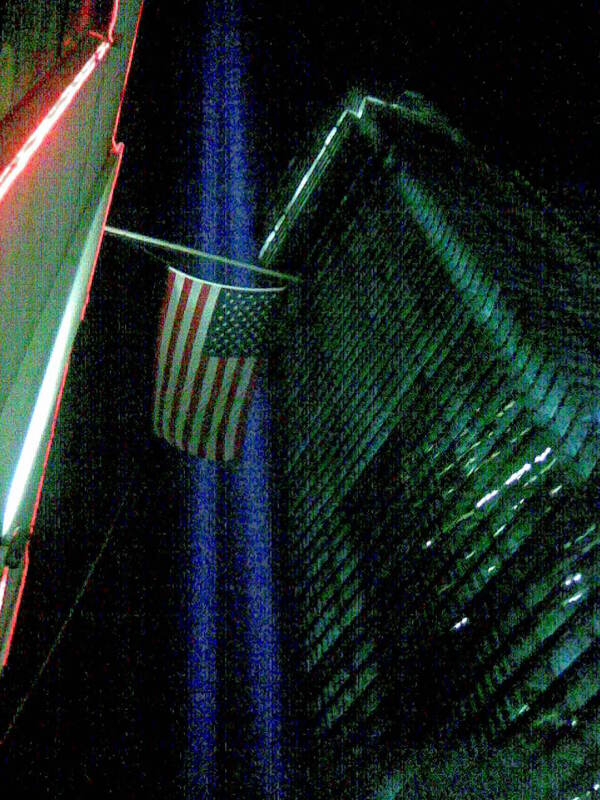 And, last week, the test runs of the Tribute of Lights made me thoughtful. On Saturday, September 8, 2018, just a few days before September 11, 2018, MTA finally reopened the Cortlandt Street subway station for the 1 train – now renamed WTC Cortlandt St. I have so many feelings about this. I’d walk by the side of the Oculus hub; I’d see the sign for “the future access to the 1” and I kept wondering when was that happening, and now it’s real. I remembered when the MTA had reopened the 1 train’s tunnel underneath the World Trade Center after September 11, 2001. It had felt like a stunning miracle, after the death and destruction. But, that destroyed Cortlandt Street station remained the subway station that didn’t come back, while the R and the A/C/E subway lines’ stations did come back. I had walked by the A/C/E side at one point and my eyes grew teary when I recognized where that spot was on the floor to the entry would have led to the Warner Brothers store upstairs of the World Trade Center (or so I told myself, because my memory was never any good). And, of course, upstairs and all around was that community – the people who came and went through that whole complex, what made life real – wasn’t there anymore. I was always more a downtown person, even when I had attended Alma Mater up in Morningside Heights (the nature of being from Brooklyn: everything is uptown anyway). I had looked to the Twin Towers as the compass to help me figure out where I was; as architecture, not everyone liked them – but I did. (see here, for instance, for Gothamist’s review of the 20th century commentary on the WTC’s architecture). For a very long time, I felt it was too easy to be lost. 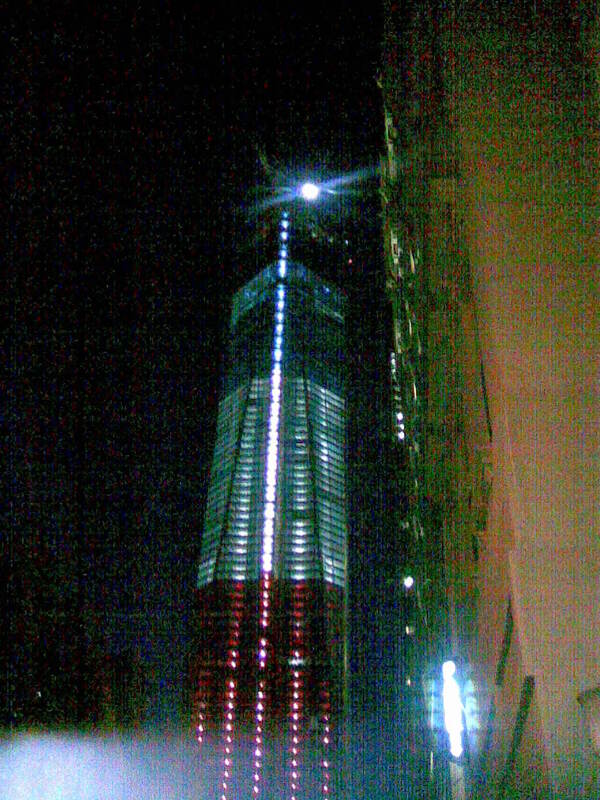 But, now there’s a new World Trade Center. The area has changed a lot. The memorial is a beautiful, reflective area. The Sphere has returned. The rebuilding of the destroyed St. Nicholas Greek Orthodox church is still in progress. It sometimes feels very surreal to see that there’s so much commercialism, but there was a mall years ago anyway. However, the sense of luxury that’s there now, especially over at the World Financial Center (sorry – now “Brookfield Place”), wasn’t quite what had been there. Downtown was more about the hustle – you got to get to where you were going, or you don’t know what you were missing. Sure, a subway station is back, but there’s more to it than that. It’s 17 years. All these years later, I wonder how much we are missing, and whether we have grown or should I keep hoping somehow that things will be better. I am curious to see the art (and the possibility of a climate-controlled subway station?). The reopening of the all the subway stations after 9/11, and after Super Storm Sandy when it felt like a setback, have somehow reminded me that life keeps going. See here for the NY Times article by Emma G. Fitzsimmons and Winnie Hu on the reopening of this Cortlandt Street station, complete with a mosaic by Ann Hamilton with the words of the Declaration of Independence and the United Nations’ Universal Declaration of Human Rights. See here for the tumblr post by MTA Arts & Design on the mosaic. See here for Gothamist’s coverage of the Cortlandt Street station reopening. 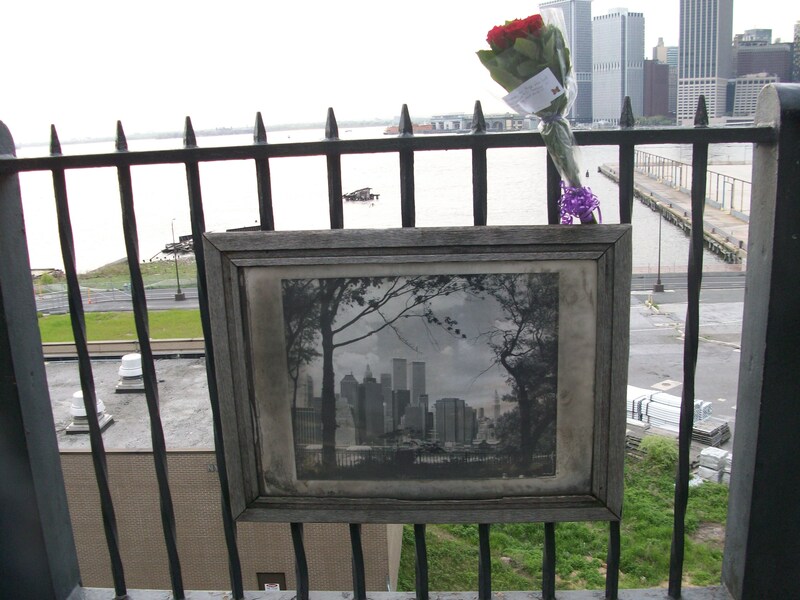 Above that photo I had taken some years ago at the Brooklyn Promenade. 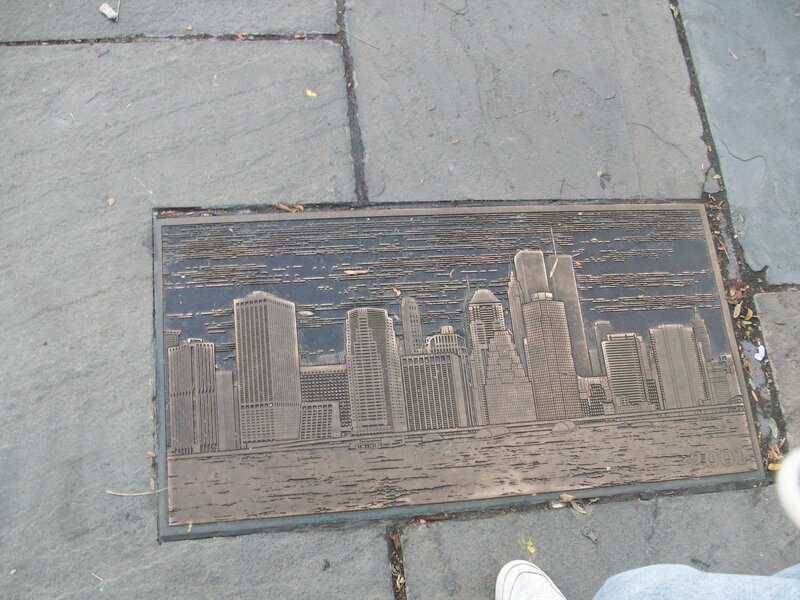 I had also taken this photo a couple of years ago at the Brooklyn Promenade. I took this one on Sept. 10, 2012, via my old phone. Photo that I took on Sept. 10, 2012, via my old phone. See here for last year’s post, and here for the 2016 post, to access the links to earlier posts here on triscribe on this day. Take a moment to pause and reflect, and thanks for being here.